Couples' Challenge - send in your questions! Every week we watch our celebrity couples tell us how much they love each other, or sometimes we see them arguing like an old married couple during training – but how well do they really know each other? We’ve decided to put our Strictly couples to the test with our very own quiz show – exclusively for viewers online! And we thought we’d leave it up to you guys to come up with the questions! So, it’s over to you – what do you think we should be asking? Should we find out what their most annoying habits are? Or what they’re most likely to be doing when they’re not dancing? Or how they’d react in a fire? The plan is to hijack one celebrity and grill them with a list of questions out of earshot of their partner. Then we’ll bring that person back in and see how many answers they can guess correctly. So, what are you waiting for? Get your thinking caps on and send in your very best suggestions - the cheekier the better! (Within reason, of course). Patsy Kensit and Robin WIndsor became the eighth couple to leave this year's contest, ending their Strictly journey just three weeks before the grand final. The couple performed an Argentine Tango last night to a mixed reception from the judges, but were eliminated from the competition by a combination of the judges' scores and the public vote. Last night our Magnificent Seven took to the floor with either an American Smooth, Jive, Argentine Tango, Charleston or Rumba. 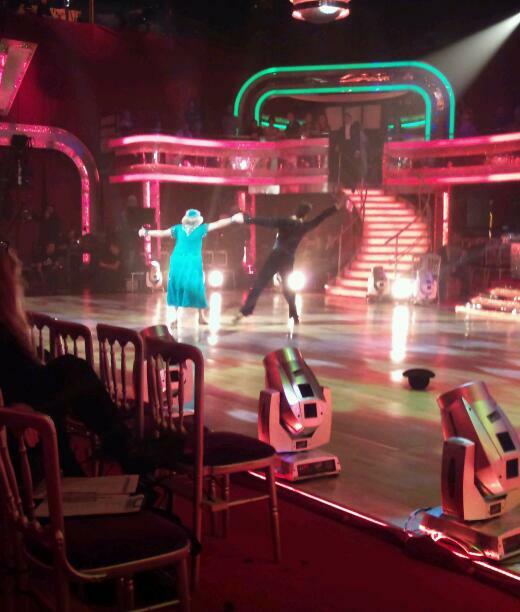 Pamela and James were back at the top of the judges' scoreboard with their sensational Charleston, while Ann and Anton's Titanic Rumba failed to make a splash. Tonight we learn who the eighth couple leaving the contest will be. As the final approaches, have your favourites done enough to secure themselves a spot in next week's show? We also have a musical performance from Beautiful boy James Blunt, and our Pro Dancers take to the floor with two fabulous numbers. After last week's trip to Blackpool, Strictly is back home in Television Centre for tonight's live show. Our remaining couples will tackle either an American Smooth, Argentine Tango, Jive, Charleston or Rumba to garner points from the judges and votes from you. With the grand final less than a month away, the pressure is on for our Magnificent Seven. Who will rise to the challenge and who will fall by the wayside? Got an 'Out of the Glitterball' question for Bruce Forsyth? Got a question you've always wanted to ask the one and only Bruce Forsyth? Let the Glitterball do it for you! 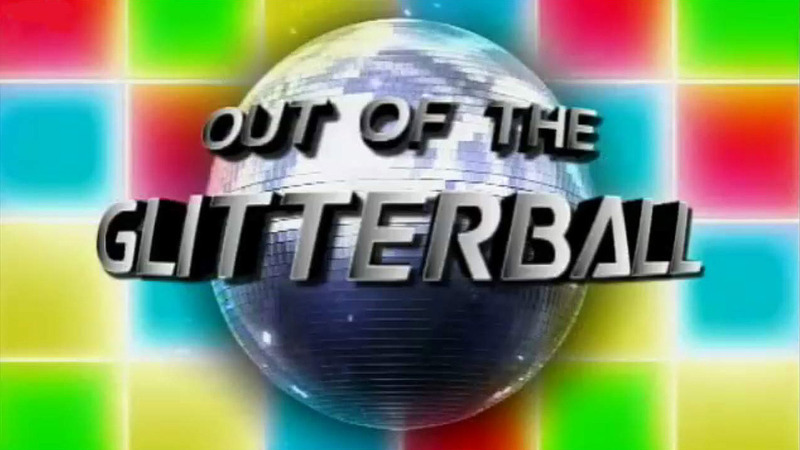 Leave your questions here and if you're lucky you might just get an answer from the man himself when he appears in the "Out of the Glitterball" segment of It Takes Two later in the series. 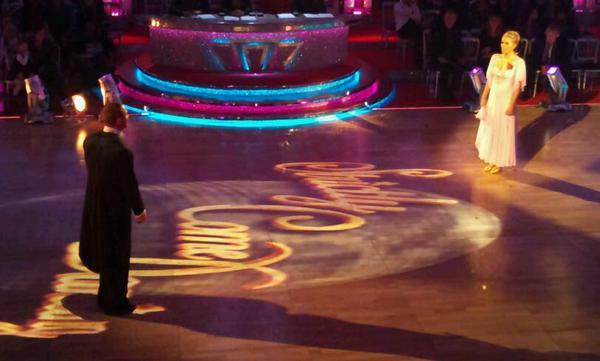 Felicity Kendal and Vincent Simone became the seventh couple to leave this year's contest, ending their Strictly journey in Blackpool's fabulous Tower Ballroom. The couple performed an American Smooth last night but were eliminated from the competition by a combination of the judges' scores and the public vote. Our web reporter Nikki Dean was there on the dancefloor when the announcement was made, and caught up with a host of Strictly faces for their reactions to the news. Watch our exclusive video here and let us know your thoughts on tonight's results by leaving a comment below. Last night our remaining eight couples lit up Blackpool's Tower Ballroom by performing either a Samba or an American Smooth. 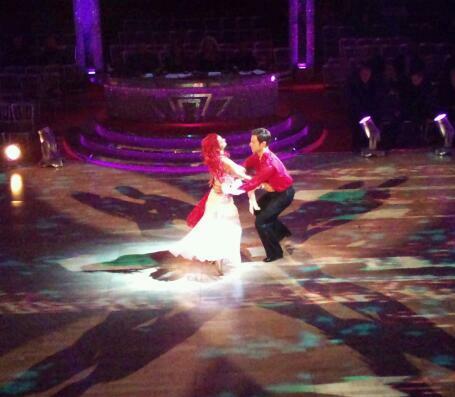 Matt and Aliona impressed the judges with their sensational Samba, while Ann and Anton's fell short leaving them at the bottom of the scoreboard. Tonight we learn who the seventh couple leaving the contest will be. Have your favourites done enough to secure themselves a spot in next week's show? We also have a musical number from Welsh singing superstar Duffy, a truly mesmerising performance from the Cirque du Soleil and our Pro Dancers take to the floor with a high energy group Samba. 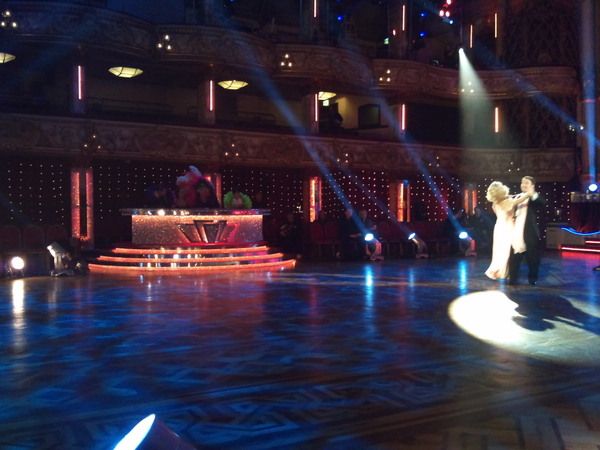 Tonight Strictly comes to you live from the fabulous Tower Ballroom in Blackpool. Our celebrities have been in training all week to perform one of two dance styles - an American Smooth or a Samba - to impress the judges, Blackpool, and, of course, you! Will dancing in such an iconic venue inspire our couples to up their game? Who will make Blackpool rock and who will fail to make a splash? 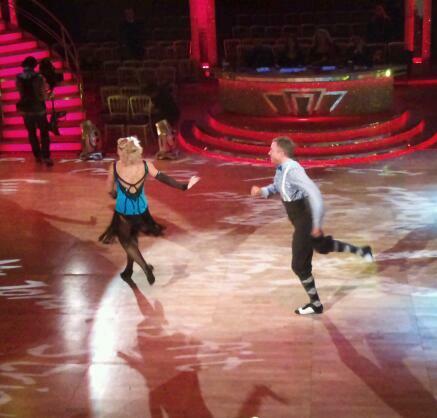 Once again, Strictly Come Dancing is doing our bit to help raise money for the annual BBC Children in Need appeal. If you've been to the cinema lately, you might already have seen the Strictly 3D performance from Flavia. But you don't need to leave the comfort of your own living room to watch some Strictly fundraising action, because there's going to be a special Strictly segment as part of the main BBC Children in Need Appeal Show on Friday 19th November. Two top pop stars will take to the floor and will battle it out to see who wins the special BBC Children in Need Strictly trophy. They are Rochelle Wiseman from The Saturdays (who'll be dancing with Ian Waite) and Harry Judd from McFly (dancing with Ola Jordan). Who will win? Watch BBC Children in Need on BBC One (and BBC One HD) on Friday night from 7pm - schedules are always subject to change during a live show like this, but the Strictly segment should be on air sometime between 8pm and 9pm. And once you've watched, don't forget to donate! Strictly Christmas Special line-up unveiled! If, like us, you just can't get enough of Strictly fever, then you'll be delighted to know the glittering line-up for this year's Christmas Special has been revealed! Set to take to the floor for the festive extravaganza are The Rt. 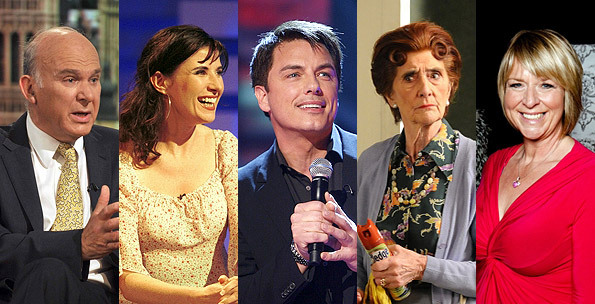 Hon Vince Cable MP, comedy actress Ronni Ancona, all-round star of stage and screen John Barrowman, EastEnders favourite June Brown (aka Dot Branning), and TV presenter Fern Britton. Strictly Come Dancing returns for a one-off Christmas Special jam packed with five brand new celebrities to bring you cheer this festive season. The five star line up includes television presenter Fern Britton and her partner Matthew Cutler, legendary EastEnders’ lynchpin Dot Branning (nee Cotton) actress June Brown and her partner Vincent Simone, comedy actress Ronni Ancona and her partner Anton du Beke, stage and screen star John Barrowman and his partner Kristina Rihanoff, and completing our fabulous five is The Rt. Hon Vince Cable MP and partner Erin Boag. This fantastic five will all be performing different dances to impress the Strictly judges and studio audience and sashay home with the coveted Strictly Come Dancing Christmas Special trophy. Without a doubt a veritable selection box of tasty dancing treats awaits! The Rt. Hon Vince Cable said: "Strictly has always been a secret, or not so secret, passion of mine. I hope that by taking part in the show I can inspire others to get up and do something they have always wanted to have a go at." June Brown said: "I’m terrified and apprehensive about what I’ve let myself in for, I must be barmy and I’m not sure what’s come over me… I just hope I can remember the steps to the routines." John Barrowman said: "I've watched Strictly since the first series and I'm ecstatic to have been asked to be part of the Christmas Special. I am looking forward to the challenge as it's so different to any of the dancing that I've done before in musicals. But more than anything, I am so looking forward to wearing the costumes. I can guarantee this: there will be sequins." Ronni Ancona quipped "It's a wonderful opportunity to finally have confirmed that I don't actually have two left feet... just two right ones." And Fern Britton said, "Strictly Come Dancing is my family's favourite programme. I'm thrilled to be included in the Christmas line-up - I'm really looking forward to the spray tan, false eyelashes and sequins!" Can't wait to see Dot venture out of Albert Square and onto the dancefloor! And I wonder what Captain Jack Harkness will look like in sequins and spray tan! It's enough to make you want to dust off the Christmas tree and bring out the mince pies already, isn't it?! Michelle Williams and Brendan Cole became the sixth couple to leave this year's Strictly Come Dancing, just missing out on the chance to go to Blackpool next week. The American singing sensation performed a Paso Doble last night but was eliminated from the competition by a combination of the judges' scores and the public vote. We were there on the dancefloor when the announcement was made, and caught up with a host of Strictly faces for their reactions to Michelle's exit. Watch our exclusive video here and let us know your thoughts on tonight's results by leaving a comment below. Last night our remaining nine couples gave it their all with a host of ballroom and latin numbers. Scott and Natalie were at the top of the judges table with a sensational Jive, while Ann and Anton failed to impress with their Foxtrot. Tonight we learn who the sixth couple leaving the contest will be. Have your favourites done enough to make it through to Blackpool? We also have musical performances from the legendary Annie Lennox, The Soliders, and our very own first lady of Strictly, Alesha Dixon, as well as the Pro Dancers performing a fabulous American Smooth. Tonight our nine remaining couples will each perform a different style of dance. You'll see a Jive, Salsa, Cha Cha Cha, Rumba, Argentine Tango, Viennese Waltz, Quickstep, Foxtrot and Paso Doble. How will your favourites fare this week? If you're watching the show, why not log on and share your thoughts by leaving a comment below. The BBC has been testing out what Strictly Come Dancing could look like in 3D, as a way of supporting this year's BBC Children in Need campaign. It's the first time the BBC has tried anything like this, and the finished film - of Flavia Cacace's Argentine "Tango Unleashed" from the show, together with Pudsey in 3D - will be showing on 3D cinema screens and 3D TV screens around the UK for 2 weeks from 12th November 2010. Sadly, we can't bring you the 3D film here (as you need special 3D glasses to view it! ), but if you fancy going behind the scenes to see how it all happened, have a look at this short film. Last Sunday, hundreds of Strictly fans descended on BBC Television Centre for a day of entertainment, magic and - of course - dancing. People attending the event got to meet a host of Strictly faces including pro dancers Kristina, Erin, Jared and Karen, as well as some former celebrity contestants. Paul Daniels had a few tricks up his sleeve, Darren Gough knocked everyone for six and Joe Calzaghe showed off some of his famous fancy footwork. The day culminated in fans dancing to Karen Hardy's specially choreographed routine, which was filmed to be used as a BBC One ident this Christmas. If you were there, why not share some of your memories of the day by leaving a comment below. This week the couples have been hard at work in training but what could be happening in this still? Jimi Mistry and Flavia Cacace became the fifth couple to leave this year's Strictly Come Dancing. The Hollywood heart-throb performed an Quickstep last night but was eliminated from the competition by a combination of the judges' scores and the public vote. We caught up with a host of familiar faces for their reactions to Jimi's dramatic exit. Watch our exclusive video here and let us know your thoughts on tonight's results by leaving a comment below. Last night our remaining ten couples tackled a total of nine different dance styles. 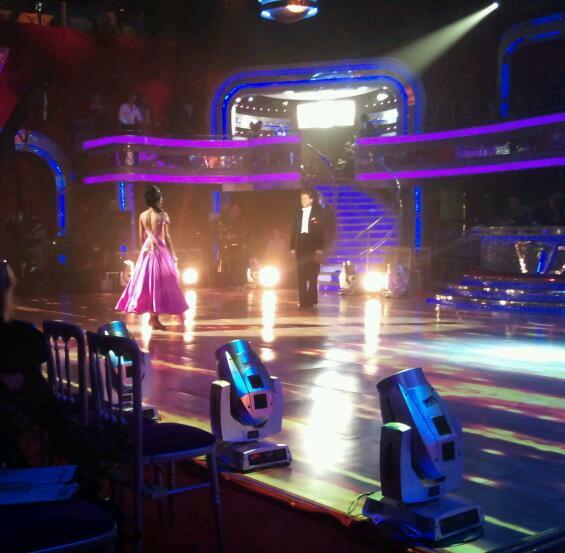 Kara and Artem wowed the judges with a high energy Salsa, while Ann and Anton failed to impress with their Charleston. Tonight we learn who will be the fifth couple to leave the contest. Have your favourites done enough to be safe? We also have a performance from Bryan Ferry, a group Foxtrot and our Strictly Show Dancers taking a trip back in time with a stunning Rock and Roll routine. Have you say on all of tonight's action by leaving a comment below. Our ten remaining couples will take to the floor once again tonight, performing a total of nine dance styles between them. You'll see (deep breath) the Quickstep, Foxtrot, Charleston, Rumba, Viennese Waltz, Paso Doble, Salsa and Waltz, along with two Cha Cha Cha's. Will your favourites rise to the challenge or fall by the wayside? Why not have your say on all of tonight's action by logging on and leaving a comment below. We were backstage at today's dress rehearsal and managed to grab some exclusive pics as the couples prepare for tonight's competition. Do you have a burning question that you've always wanted to put to our celebs or pro dancers? Well now's your chance. It Takes Two has a new regular feature this year, "Out of the Glitterball" - and they're looking for YOUR questions. Leave them as a comment below, and you never know, it may end up being used in the programme! P.S. - This is the second Out of the Glitterball blog - you can see all of the comments and questions on the first blog post (which was getting a bit unwieldy!) here.